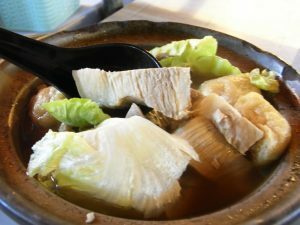 Singapore is a hot pot of cooking styles, consolidating a rich legacy of dishes comprising of Chinese, Indian, Malaysian and Indonesian impacts. By chance that you turn to be a Singaporean, you would have seen these dishes in the hawker stalls, in the food courts of shopping centers and in the antiquated shop-houses decades old. Simply hop on a bus and reach Singapore just to try some delectable local cuisine. It will definitely make your stay worthwhile! Here is a list of the well-kept secrets by the locals who live here; you shall find a good reason to visit Singapore now. Ranging from bistro foods to healthy nearby enjoyments and even lip-smacking halal treats, the Lion City is a fortune trove of heavenly grub. Only a true local cuisine will help you to express adequate love for Singapore! The genuine rundown of local food will have no end; the ones mentioned below are only a couple among them. 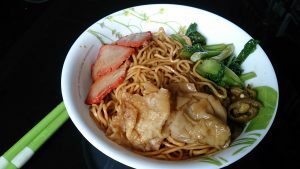 Wanton Mee: The Singapore Wanton noodles is a cuisine probably influenced from the Hong Kong cuisine. It has become entrenched in Singaporean culture over the years. The version in the Lion City is typically eaten ‘dry’, drenched with some light sweet sauce and slices of pork. Besides, it consists of some wanton dumplings with pork filling and a small bowl of soup on the side. Kaya Toast and Soft Egg Boiled: One of the highly recommendable Singaporean breakfast, Kaya toast that comes with soft-boiled eggs. The traditional bread is a basic rectangular one that is toasted with a bread grill, lathered with coconut or egg kaya (cream). The classic kaya toast version is then slapped with a thick slice of butter, which melts slowly between warm slices of bread. Other variations include using thinly sliced brown bread, round buns or ‘Jiam Tao Loh Tee’, which resembles a French baguette. 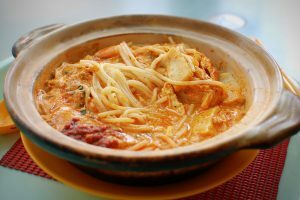 Laksa: There are loads of variants of Laksa found in different regions. The fish type, broth and even the noodles vary from one region to another. The traditional Singaporean Laksa is prepared using vermicelli, coconut milk, tau pok (bean curd puffs), fish slices, cockles and shrimps.